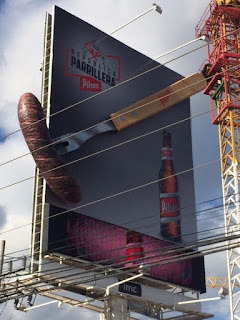 Parrillera Pilsner is taking the term “erecting a billboard” to a whole new level. From the front, it looks like a normal giant sausage on a billboard. Yeah, that sounds like a good idea. 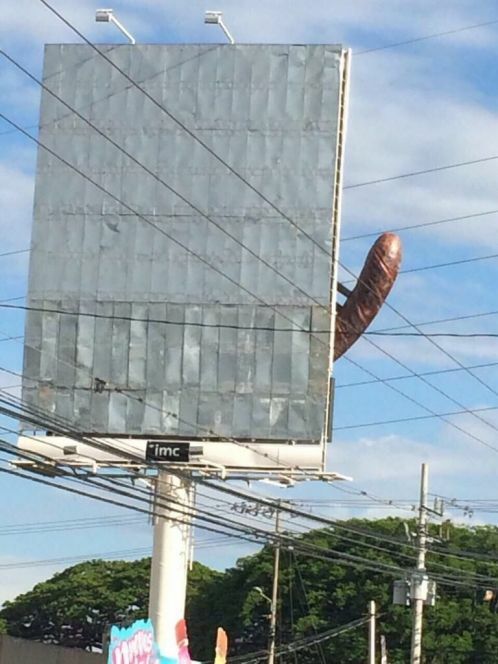 From the back, it looks like the billboard is, um, well...very happy. You be the judge. Apparently there is debate on whether or not this was intentional, but either way they are certainly getting the attention they were looking for!